the Tonto Nat'l Forest area just to the NW of Cave Creek. It was startling in that we could see the swirling flamelike effect as it came down. From our vantage point in Desert Hills the fireball fell behind Elephant Mt. 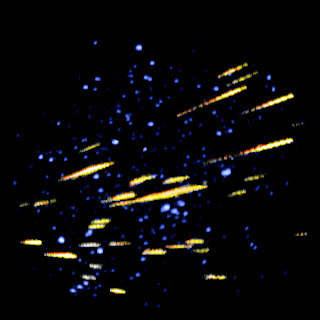 Immediately at impact a large surface glow or residual explosion illuminated the sky, so it was apparent the fireball indeed did impact and should have left a debris sight on the ground. We could not hear any sound of the impact. Very exciting sight. We did phone MCSO and they had add'l sighting from a motorist on the Payson Hwy to Fountain Hills. using my topo map and a straight line, the impact location would have been between Elephant Mt and the Payson area. i have not found anyone else locally that observed this event. I saw a huge burning, smoking fireball falling quite slow very large with orange, green, red and blue colors very bright - nothing like I had ever seen. The problem is, mine was Tuesday, April 28, at around 7 PM ish - still some daylight left. From the village of Oak Creek, AZ, I was looking north -slightly east. - David S.
Does anyone else have more info on these events? In the past two years, two Arizonans have died from falls into unmarked abandoned mines. 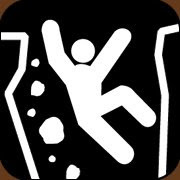 But if the detailed locations of the known abandoned mines are posted online will that protect people or will it serve as a guide for thrill seekers and result in more injuries and deaths? This is Mine Safety Awareness Week in Arizona, and State Mine Inspector Joe Hart made the case to the state legislature about the need for more funding to identify and close abandoned mines. Legislators gave little likelihood of that, given the state's financial situation. Joe cautioned that while his office has an internal list of 10,000 abandoned mines, there are no resources to create a digital online listing or detailed map. The current map is too small to be useful. For a list of abandoned mines to be useful to the public, the locations have to be detailed enough that anyone heading out to hike or offroad, could examine their planned routes to spot potential problems. But does that then create attractions for those who deliberately want to explore these old mines and end up trapped or hurt? My experience is that there are more problems from people who seek to go into mines than those who do so accidentally. In general, I'm an advocate of providing the information and letting people make their own decisions. Give responsible recreationists information that can save their lives. The ones who misuse it may be our entries for the Darwin Awards. NASA held a teleconference for science reporters today to preview a set of papers coming out in tomorrow's issue of the journal Science, including one from planetary geologists at ASU. The gist of the telecon and papers is that "the Analyses of data from the MErcury Surface, Space ENvironment, GEochemistry, and Ranging (MESSENGER) spacecraft’s second flyby of Mercury in October 2008 show that the planet’s atmosphere, magnetosphere, and geological past are all characterized by much greater levels of activity than scientists first suspected." On October 6, 2008, the probe flew by Mercury for the second time, capturing more than 1,200 high-resolution and color images of the planet unveiling another 30% of Mercury’s surface that had never before been seen by spacecraft. "Many of these smooth plains are interpreted to be of volcanic origin, and they are globally distributed. Much of Mercury's crust may have formed through repeated volcanic eruptions in a manner more similar to the crust of Mars than to that of the moon." Science Foundation Arizona announced five new solar investments totaling $4 million and the opening of the Solar Technology Institute (STI). 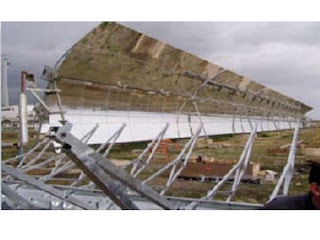 One of the projects is Compressed Air Energy Storage (CAES): Southwest Solar Technologies, the U.S. Geological Survey, UA and ASU are developing compressed air solar storage technology for use when the Sun is not shining. Other partners include Simmons, Nanovoltaix, and Eusthatia. Minerals are 87% of raw materials used in the U.S.
A new study by the USGS looks at the flow of raw materials across the U.S. from 1900 to the present, not by their value, which is traditionally the way to track them, but by their weight. So, instead of focusing on the direct economic impacts, this information "is the first attempt to document the flow of these materials in physical terms, which can help in assessing their potential adverse effect on the physical environment. " The USGS fact sheet presents the amounts (by weight) of raw minerals and materials used in the four categories of physical goods that support the U.S. economy: agriculture, forestry, metals and minerals, and nonrenewable organics. 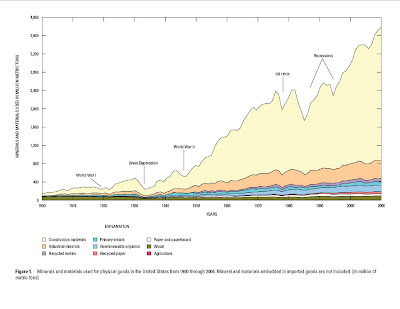 What is clear in the chart at right is that industrial minerals and construction materials overwelm all the other raw materials. My calculation of the amounts for the last year measured, is the metals and minerals account for a staggering 87% of the weight of all raw materials used in the country [the yellow and orange sections on the chart at right]. One only has to note the recent movement to consume locally grown food crops as a way to reduce the environmental impacts of shipping them long distances, to realize the significance of producing metals and minerals locally as well. The energy used to move 87% of all the raw materials in the nation must be huge, although that calculation is not made here. The carbon (dioxide) footprint of moving these materials must be comparably large. Update 5-1-09, 11am: The USGS has removed the report from its website, stating only, "This report is temporarily unavailable until further notice." The White House Office of Science and Technology Policy (OSTP) launched its own blog last week. Among the first posts are a series of 6 principles of scientific integrity for which OSTP is seeking recommendations from the public to craft a plan for the President. On Monday, President Obama spoke to the National Academy of Sciences, saying, "As part of this effort, we’ve already launched a website that allows individuals to not only make recommendations to achieve this goal, but to collaborate on those recommendations; it is a small step, but one that is creating a more transparent, participatory and democratic government." Timmins Gold Corp. says it's San Francisco mine in northern Sonora, Mexico, is on track to begin production this year. The company expects to produce 80,000 ounces of gold per year. It reports that "the gold plant is on site and has been recently refurbished and tested and the new crushers are being installed" [right]. EPA filed a motion to remand the air permit for the planned 1,500 megawatt Desert Rock power plant on the Navajo Reservation in northwest New Mexico, according to a report in Reuters. 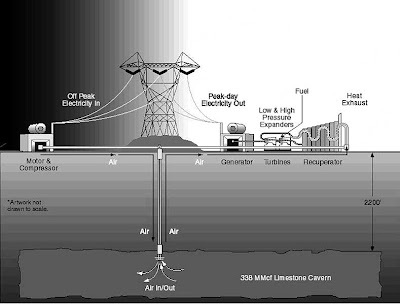 The plant was intended to supply power to Arizona and Nevada cities. 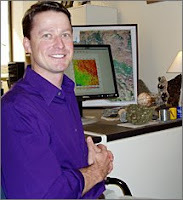 Matthew Fouch, an associate professor in the ASU School of Earth and Space Exploration will speak at the EarthScope Symposium and Reception for Congressional members and staff on Capitol Hill in Washington, D.C., today. Matt will present results from his research group, which currently focuses on high-resolution imaging of the crust and mantle beneath western North America. He is also working to bridge scientific disciplines, with a current effort to reconcile inferences of dynamics in the deep subsurface with surface observations of these processes using data including high-resolution GPS measurements. Matt's research is part of the EarthScope program – a major multi-year, multi-disciplinary initiative to study the structure and dynamics of the North American continent. 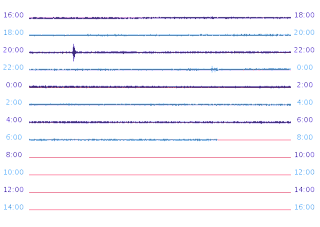 AZGS, in partnership with ASU, NAU, and UA, recently acquired 8 broadband seismic stations from the EarthScope USArray program to create a statewide seismic monitoring system for Arizona. Reuters is reporting that the bankruptcy judge is delaying the decision on the Asarco bankruptcy case until May 15 to give Grupo Mexico time to submit its own plan to creditors in hopes of beating out Sterlite Industries for control of the company. Meteor hunters are swarming the Flagstaff and Sedona areas in hopes of finding remnants of a fireball seen in the area Saturday night, accroding to the Daily Sun. The Coconino County sheriffs office and the Coconino National Forest were bombarded with people hoping that some part of the meteorite made it to the ground, although there is no evidence that occurred. Jeff, who blogs at the Sun Blog, describes at least two separate fireballs and speculates on their origin. UA geoscientists Susan Beck, George Zandt, and Mihai Ducea are among a team of 9 scientists from 6 institutions just awarded $2.5 million by NSF to "investigate how rising mountain ranges may have altered the global climate." 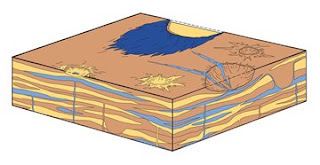 In addition to climate modeling, geophysicists Susan Beck and George Zandt will run a seismic experiment that will enable to team to image the lower crust and mantle beneath the Andes to identify the processes that led to surface uplift. Geochemist Mihai Ducea will analyze volcanic rocks to track the timing of changes in the lithosphere. The Arizona Capitol Times published an detailed explanation (subscription needed) of the issues at stake in the legal fight over the city of Prescott's plans to pump water from the Big Chino Water Ranch. The key argument by opponent Salt River Project (SRP) is that "the cone of depression that would be created at the Big Chino Water Ranch would reach the sub-flow zone of the Verde River, which is subterranean water that finds its way into the river and is legally considered part of the river." However, they note that the Arizona Dept. of Water Resources denied that claim during the review process on Prescott's proposal. ADWR certified the Big Chino will meet the state's requirements for a 100-year assured water supply. SRP and others appealed ADWR's approval of the project. Administrative hearings started in January and are now expected to continue into June or later. AZGS is mapping Holocene-aged sediments along the Verde River for ADWR for adjudication purposes. Support for developing the giant Resolution copper deposit got two big endorsements this past week. Gov. 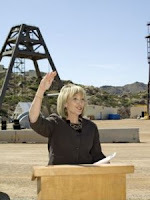 Jan Brewer toured the Resolution Copper mine on Thursday [right, credit Resolution Copper] and called on Congress to push forward the land swap that is needed. The Arizona Republic quoted her as saying, "Copper has done so much over the history of Arizona to provide economic growth, and this copper project spurs economic development far into our future." Yesterday, the Arizona Daily Star (Tucson) applauded Resolution Copper in a prominent editorial, for its "current path of openness, environmental activism and partnering with local communities" and urged the mine development to go forward. The paper said the mines "economic impact alone could be tremendously beneficial. And it's good for Southern Arizona because some of the lands that Resolution is offering in the swap are precious natural assets." A magnitude 3.2 earthquake hit northern Baja California yesterday afternoon, in the middle of an area that's had similar small events in the past few weeks. It showed up nicely on the Arizona seismic station 113A [right, at 20:10 UTC] in Mohawk Valley. Actor Scott Adams [bottom right, best known from "Knocked Up"] is supposed to play a USGS geologist who encounters the killer fish while diving in the lake. AZGS was contacted last week by the film company for permission to use some of our geologic maps as props in movie scenes. The Lake Havasu News has been running stories about the production and last week announced an open casting call for April 18. The casting company is quoted as saying "they would really like to encourage people interested to show up in their swimming suits — girls in bikinis, boys in swim trunks, although it is not necessary" and "stressed the importance of enthusiasm for the extras, stating they are looking for people who will really act drunk during the party scenes, and who would really act like they are dying when they die in the film." Extras will earn a whopping $7.25 per hour, plus get fed and may get tapped to utter a line or two of dialogue, which will earn them substantially more. The paper said "anyone interested in being cast as an extra in “Piranha 3D,” should e-mail a full body photo, close-up photo, and contact information to www.havasuextras@gmail.com." USGS ecologists warn that by midcentury, the fragility of the region's soil "will be equal to that of the Dust Bowl days," according to an extensive report in the Washington Post. A record-setting 11 major dust storms have hit the Colorado Rockies this year, which is causing the snowpack to melt faster and affecting air quality. 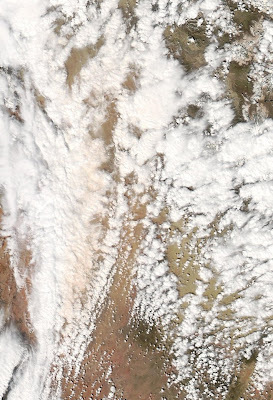 [right, a full-color image captured from the Aqua MODIS Satellite at approximately 2 pm MST on April 15, 2009. The image shows significant red coloring of low-level clouds by an active dust storm emanating from areas north of Interstate 40 in northern Arizona. The tinted clouds reach far north of Interstate 70 in southern Utah. This event is the third such event during the spring of 2009 captured by satellite sensors; in each instance, significant source plumes have been detected emanating from the northeast corner Arizona. Caption from USGS. Photo credit, Rian Bogle, USGS] The USGS Canyonlands Research Station has more satellite photos, videos, and reports. The increased dust movement is attributed to more human disturbance of soils in the Western U.S. combined with climate changes. The Post stated, "soil is being loosened by off-road vehicles, livestock grazing, and road development for oil and gas production, much of it on public land. A Washington Post analysis of federal data from areas managed by the Bureau of Land Management found that between 2004 and 2008, off-road vehicle use rose 19 percent, the number of oil and gas wells increased 24 percent and grazing acreage climbed 7 percent." The Spanish-owned Albiasa Solar company plans to start building a 200-megawatt power plant south of Kingman next year, according to a report in the Kingman Daily Miner. The plant spokesman said it will use about 1/4 the amount of water that raising cotton in the same area would take, but didn't say how much water that is. The UA's faculty-staff weekly newsletter, LoQuePasa, offered this update on the the new School of Earth and Environmental Sciences that will unite six campus units from within the College of Science and the College of Agriculture and Life Sciences. Five of the units are in the College of Science: the departments of atmospheric sciences, geosciences, and hydrology and water resources, plus the Laboratory of Tree-Ring Research and the Accelerator Mass Spectrometry Laboratory. The sixth is the College of Agriculture and Life Sciences' department of soil, water and environmental science. Karl Flessa [right], chair of the Geosciences Dept, will head up the new School. Karl said he used a "federation" model in his proposal for the new school, which does not merge or eliminate any programs. Individual units will not see eliminations of positions or significant changes in daily operations as a result of the reorganization, and degree offerings will remain the same, Karl said. However, there is discussion about developing a new interdepartmental undergraduate major focused on earth and environmental sciences as well. 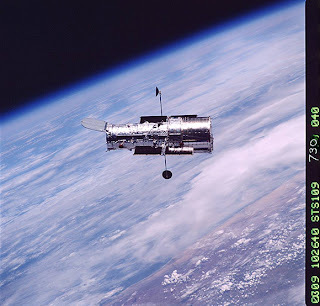 The Hubble Space Telescope launched into orbit 19 years ago today, and I was lucky enough to be there in the VIP viewing area courtesy of geologist-astronaut Kathy Sullivan, who was on the shuttle crew and arranged an invitation for me. Since the launch, Hubble has made more than 880,000 observations and snapped over 570,000 images of 29,000 celestial objects. 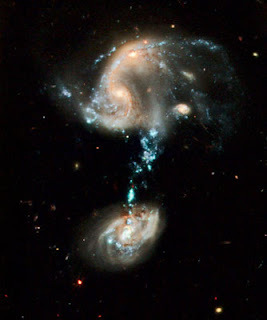 I never anticipated just how startling and beautiful so many of the Hubble images would turn out to be. The night before the launch, some of us went out to the base of the launch pad for 'night viewing.' It is one of the most memorable images of my life. We stood virtually at t he foot of the launch complex. Flood lights emblazoned every inch of the shuttle and gantry, and in the darkness, nothing else was visible. It was overwelming and hypnotic. The next morning, before dawn, we took shuttle buses to a small tree-surrounded opening with a set of bleachers, as close as anyone could get to the pad, although it was still 4 miles away across a bayou. An alligator lazily swam past us as the sun rose. At the moment of the launch, we saw the immense flames erupt from the booster rockets in almost total silence. But it was noticeable seconds before the first sound waves hit us. Then the wind from the rocket exhaust hit, completely surprising me and others with its strength. So, for the past two decades I've watched the Hubble images with a continued sense of awe and excitement from having been there at the start of its mission. Researchers from ASU and UA are among 22 authors on a new paper coming out tomorrow in Science, entitled, "Fire in the Earth System." "It's very clear that fire is a primary catalyst of global climate change," he said. "The paper is a call to arms to earth scientists to investigate and better evaluate the role of fire in the Earth system." The team also reports that, currently, all fires combined annually release an amount of carbon dioxide into the atmosphere equal to 50 percent of that coming from the combustion of fossil fuels. Phoenix-based Freeport's income dropped from $1.1 billion ($2.64 per share) in 1st quarter last year to $43 million ($0.11 per share) this past quarter. The company's exploration program has dropped from $248 million in 2008 to $75 million this year. The bankruptcy court is letting Sterlite Industries $1.7 billion bid for Asarco to move forward, and put in barriers to competing offers. According to Reuters, Asarco's creditors will vote to accept or reject the Sterlite offer. An earthquake tears open the floor of Lake Havasu, freeing scores of prehistoric piranhas, that are soon discovered by a diver for the U.S. Geological Survey. Sounds like the basis for a great horror movie, right? Well, "Piranha 3-D" is being filmed in Arizona for release next March. It's a remake of the 1978 Joe Dante 'classic' film. Movie fan sites are posting details on the stars, director, etc. Didn't they do a terrestrial version of this concept with the filming of "Evolution" here in Arizona a few years ago? Ah, but that wasn't in 3-D! A student research project this summer will look at ant populations and their health as possible indicators of how uranium mining has affected areas of the Navajo Nation. Ernesto Rodriguez, a senior in environmental sciences and biology at NAU, will work on the Navajo Ant Project initiated by Dine College and Harvard University last year. Its goal is to produce the first scientific ant database for the Navajo Nation. 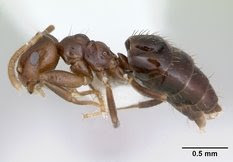 Last summer's research does not show any significant impacts of uranium on ant fauna, according to Rodriquez, "but several years of data might depict a different story." Lake Chargoggagoggmanchauggagoggchaubunagungamaugg misspelled, or is it mis-spelled? Embarrassed US officials have been forced to admit that they have been spelling Lake Chargoggagoggmanchauggagoggchaubunagungamaugg wrongly for years. The typos in the country's longest place name were revealed by local newspaper, the Worcester Telegram & Gazette, which has been covering the misspelling scandal since 2003. 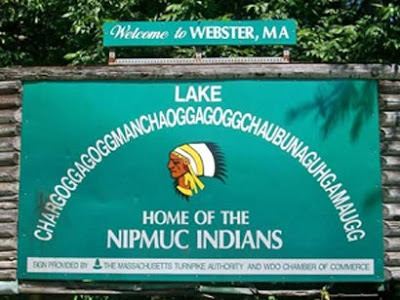 Resolving the issue involved large amounts of research into the two dozen spelling variants for the lake, in Webster, Massachusetts, reports Metro. Eventually, it was determined that the 45-letter Chargoggagoggmanchauggagoggchaubunagungamaugg was the correct spelling, and that the signs saying 'Lake Chargoggagoggmanchaoggagoggchaubunaguhgamaugg' were wrong, inserting an 'o' for a 'u' at position 20, and an 'h' for an 'n' at position 38. The research also found that the 49-letter variant, Chargoggagoggmanchauggauggagoggchaubunagungamaugg, was the second most common version. The local Chamber of Commerce will now attempt to find out who painted the signs in the first place, and get them to correct them. Lake Chargoggagoggmanchauggagoggchaubunagungamaugg is commonly referred to as Webster Lake by locals for obvious reasons. Now, I did my graduate work at UMass-Amherst which is just down the road from this lake, which we usually shortened to Lake "Char." My colleague Art did his dissertation in the Lake Char area so I forwarded this shocking news on to him. Art, who is now a high and mighty Dean in a prestigious East Coast college, wrote back, "I can tell you that these subtle differences in spelling make a big difference in translation. The correct spelling translates to Lodge of the white man by the great fishing waters. The alternative spellings translate to Lodge of the sheep lovers who put bear poo in your friend's cod piece. Remember, it's important to write well and use those spell checkers, kids!" Wise words indeed, your Deanship. The Grand Canyon and the University of Arizona-operated Biosphere 2 [below, credit UA] are being called two of the world's "50 Must-See Natural and Man-made Marvels." Life Books' "Wonders of the World" edition includes both man-made and natural wonders. 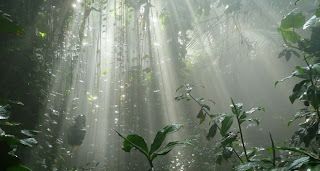 Other natural wonders on the list include the Galápagos Islands, the Serengeti in Africa, and the Rock of Gibraltar. Man-made wonders include the Eiffel Tower, the Sydney Opera House, the National Stadium in Beijing, and Golden Gate Bridge. Other U.S.-based man-made wonders include the Empire State Building in New York City, Mount Rushmore in South Dakota. The Hubble Space Telescope and the International Space Station also made the list. Last night, I posted Peter Smith's prediction that we will find life on another planet in 10 years, and mentioned in passing that he received the American Geographical Society's Cullum Geographical Medal [top] before his talk at the University of Delaware. There are more details from the UD daily newspaper now about the award that I want to share. 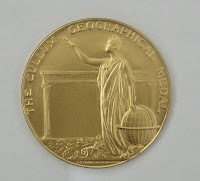 The Cullum Geographical Medal is the oldest of the American Geographical Society's awards. Established in 1896, it is "for those who distinguish themselves by geographica l discoveries or in the advancement of geographical science." The USGS released a new report today of GIS layers intended for use in analyzing water-quality conditions of basin-fill aquifers in the southwestern U.S. The basins provide the majority of water for arid and semi-arid areas of California, Nevada, Utah, Arizona, and New Mexico. 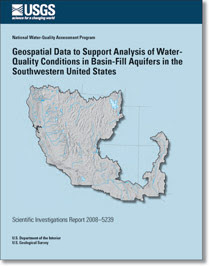 Ref: McKinney, T.S., and Anning, D.W., 2009, Geospatial data to support analysis of water-quality conditions in basin-fill aquifers in the southwestern United States: U.S. Geological Survey Scientific Investigations Report 2008-5239, 16 p.; Available at http://pubs.usgs.gov/sir/2008/5239. 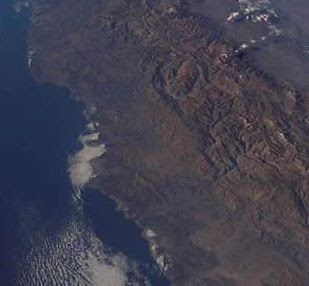 Research by the National Center for Atmospheric Research (NCAR) in Boulder, Colo., "suggests that the reduced flows in many cases are associated with climate change, and could potentially threaten future supplies of food and water." Stream flows from 1948 to 2005 show significant changes in 1/3 of the world's largest rivers. Those with decreased flows outnumber those with increased flow by 2.5 times. The results will be published May 15 in the American Meteorological Society's Journal of Climate. The research was supported by the National Science Foundation (NSF), NCAR's sponsor. Other major rivers with less water include the Yellow River in northern China, the Ganges in India, and the Niger in West Africa. In an April 20 story about the location of the Four Corners marker, The Associated Press erroneously reported that the monument is 2.5 miles west of where it should be. 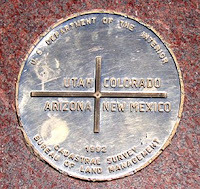 Instead, according to Dave Doyle of the National Geodetic Survey, the monument marking the intersection of Arizona, Colorado, New Mexico and Utah is about 1,807 feet east of where it should have been placed in 1875. Doyle says the monument's location has been legally adopted by all the states as the official corner. Guess this means that all of us who were ready to head out to Arizona's eastern border to reclaim the 2.5 mile-wide strip back from New Mexico will now have to plan on defending a different strip from our neighbors possible attempts to steal it back. This assumes of course, that the surveyors did get some of the basics right on the maps and that really is New Mexico east of us and not some other state like New Jersey, or New Hampshire. 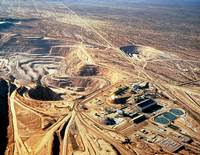 Mineweb.com says the International Copper Study Group reported yesterday that the world copper market should have a surplus of at least 345,000 tonnes this year, and about 400,000 tonnes in 2010, as mine production grows, scrap production is constrained, and usage drops in 2009 then rebounds in 2010. 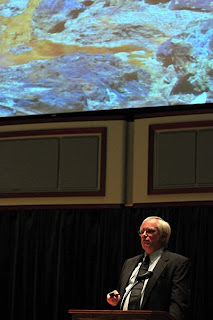 Peter Smith, UA professor of planetary sciences and head of the Phoenix Mars Lander mission, told an audience at the University of Delaware that we'll find life outside of Earth within 10 years. He's quoted as saying, “We're ardently searching for evidence of life on our closest planet." 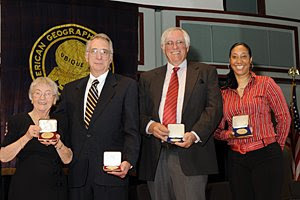 Smith was awarded the American Geographical Society's Cullum Geographical Medal at UD the night before his lecture. 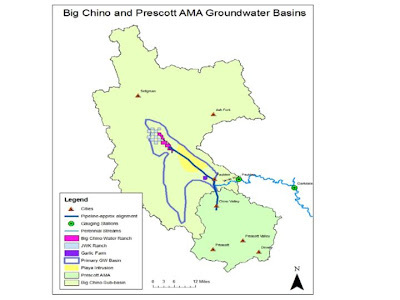 The hearing over Prescott and Prescott Valley's plans to build a 30-mile pipeline to import water from Big Chino valley [right, credit City of Prescott] is going to continue well into the summer based on what I read in a story in the Prescott Daily Courier. The consultant for the opponents said groundwater would drop 600-700 feet after 100 years, but the city's consultant testified the drop would be about 520 feet in that time frame. There was apparently much debate of a U.S. Geological Survey report by Laurie Wirt, that estimated 80-86% of the flow in the Upper Verde River Springs comes from the Big Chino. Opponents to Prescott's plans argue that pumping the Big Chino will draw down the Verde River source. A one-sentence story from the Wall Street Journal says Glencore International is very interested in buying bankrupt Tucson-based Asarco. Glencore is one of the largest privately owned companies in Europe with worldwide commodity operations and revenues in 2008 of over $152 billion. Glencore's name surfaced as a potential buyer repeatedly over the past few years. As of now, Sterlite Industries $1.7 billion offer is the one to beat. Wired summarizes key advances in a number of fields, with links to comprehensive lists of scientific papers generated from Biosphere 2. There's a brief wire service story being reported around the country that the "Four Corners marker showing the intersection of Arizona, Colorado, New Mexico and Utah is about 2.5 miles west of where it should be," and not saying much more. But the real story, full of details and infinitely more fascinating than a simple mistake, was told in American Surveyor magazine last week. 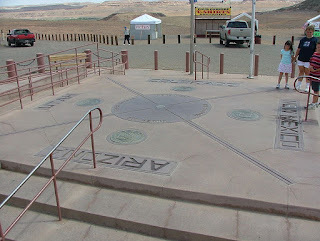 The history, written by Fred Roeder, tells how in 1875, "Chandler Robbins, a Deputy Surveyor of the U. S. General Land Office, received a contract to locate and monument Four Corners and to survey and monument the state line to its intersection with the Mexican boundary." The confusion came over whether the western boundary of New Mexico would be at 109 degrees west or 32 degrees west of Washington DC. Now, if this hasn't confused you, read the full article. AZGS geologists are mapping the geology along the Verde River for use in adjudication of water rights. But as they got into deeper water, more remote areas, and denser brush, it was clear that different tactics were necessary. Last week, Joe Cook and Ann Youberg carried out their mapping from kayaks along the river through the Mazatzal Wilderness. Rangers from the US Forest Service provided the gear and accompanied our folks, carrying out some of their own work along the way. The Democratic Republic of Congo's deputy Mines Minister, Victor Kasongo, raised alarms in the global mining community last week by questioning contract negotiations with mining companies, including Arizona-based Freeport McMoRan Copper and Gold. They note that Freeport and its partners have spent over $1.8 billion so far but that if the Congo is returning to it's 'dark days,' further investment from the entire industry may be at risk. Other government officials have offered conflicting statements about negotiations, so the situation seems unsettled. 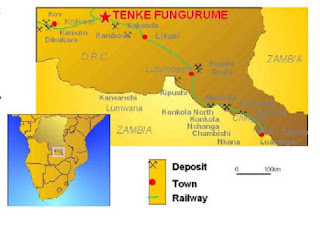 The first copper production at Tenke Fungurume began within the past couple of months. It's being called the largest undeveloped copper-cobalt resource in the world. The average annual production at is expected to be about 250 million pounds of copper and approximately 18 million pounds of cobalt. 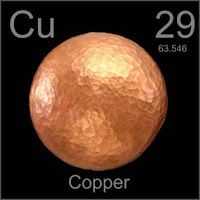 The company's web site reports that plans are to have mining, processing, and support facilities with ultimate capability of producing 1 billion pounds of copper per year for 50-100 years. 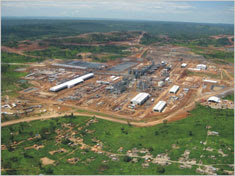 Freeport owns 57.75% of the project. Yavapai County is funding gravity studies and water well level measurements by the USGS in the Big Chino and Verde Valley aquifers "to measure changes in groundwater storage and better understand how the aquifers react to well pumping," according to a report in the Prescott Daily Courier. The USGS will instrument and monitor 6 observation wells for 3 years. Field trip leader Doug Shakel fostered discussion and debate at each stop. One of the more interesting ideas came from economic geologist Jim Briscoe who noted that the West Silverbell block appears to be laterally offset from the main Silverbell area by 2-3 miles. He postulated that the Tucson Mountain caldera could be the 'missing half' of the Silverbell caldera.